Warner Bros.’ Hall H presentation at this year’s San Diego Comic-Con will be hosted by Archer star Aisha Tyler. The pop culture icon is not new to DC's Hall H show. In 2015, Tyler oversaw the Warner panel, where fans were given their first look at Suicide Squad and a trailer for Batman v. Superman: Dawn of Justice. She returns this July to moderate another slew of DC reveals, like the debut of the first Aquaman trailer. Warner’s Hall H presentation always promises to be one of the most talked about events of the convention, with this year’s slate being no different. 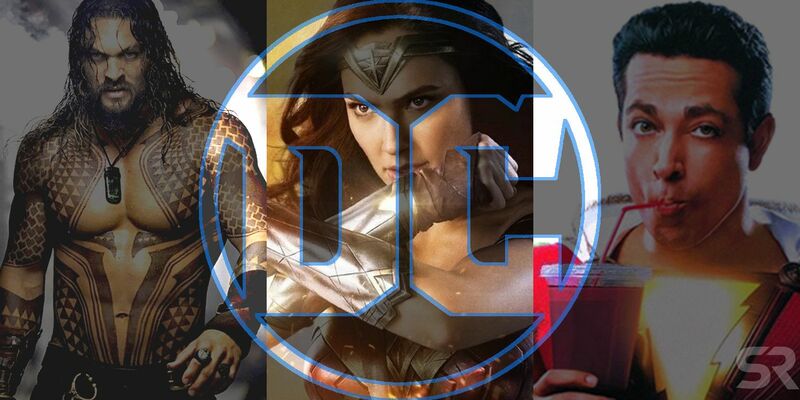 Along with Aquaman, fans are looking forward to more news about Wonder Woman 1984 as well as first footage of Shazam!, which is possibly showing its first trailer as well. The panel is expected to include news about the studio’s other projects, The Lego Movie 2: The Second Part and Fantastic Beasts: The Crimes of Grindelwald, the second of a five-part series set in the wizarding world of Harry Potter. The news of Aisha Tyler returning as moderator comes courtesy of TheWrap. Last year’s host, Chris Hardwick, will not be returning to Hall H but this is not due to accusations of abuse brought up by his ex-girlfriend, Chloe Dykstra. Hardwick was never planned to come back as host. WB does not typically request the same moderator to return in two consecutive years. The Talking host will not be turning up during the 2018 SDCC. Shortly after the accusations were made in June, he pulled his appearances for the AMC and BBC America Hall H panels. Tyler will be appearing at the SDCC earlier in the week, taking part in the Archer panel, which will be held on Friday, June 20, in the Indigo Ballroom. For almost ten years, Tyler has been voicing the character Lana on the edgy adult animated sitcom. The series, which follows an anthology format, could be planning on revealing the title to season 10 at this year’s panel, just like they announced season 9’s Danger Island, in 2017. The DC reveals at this year’s Comic-Con will hopefully signal the beginning of a new and improved stage for the DCEU. Excluding the successful Wonder Woman, the studio has struggled to churn out critically acclaimed hits like its rival Marvel. With so many possible spinoffs, standalones, and potential multiverse timelines rumored to be in the works, this would be a perfect opportunity for DC to explain their vision. Regardless of what is or is not unveiled, Tyler’s enthusiasm for all things geek ensures a fun and lively panel at Warner’s Hall H presentation.